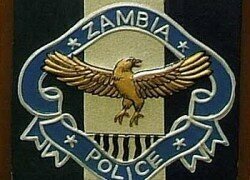 A ZAMBIA National Service officer charged with murder has been dragged to the Lusaka magistrate’s court. Aubrey Banda, who is jointly charged with two others, was dragged to court after they were accused of having killed Mbala Mwansa Kataso. However, Banda an Officer, Martin Chisenga a shop assistant and Josphat Sikana unemployed did not appear for an explanation of their charge because they were reported not to have been brought before court. When the matter was called for allocation before Principal Residence Magistrate Mwaka Mikalile , State Prosecutor informed the court that the trio who were in remand were not brought before court for their explanation of the charge. Ms Mikalile allocated the matter before Slyvia Munyinya where Banda, Chisenga and Sikana were supposed to appear for the explanation of their charge. The trio is facing one count of murder contrary to section 200 of the laws of Zambia. It is alleged that Banda, Chisenga and Sikana on July 11, 2016 jointly and while acting together with other persons unknown allegedly murdered Kataso. They are expected to appear in court soon.